So, on August 2 and Samsung has launched its Galaxy Note 7 smartphone and right now its available for preorders on various carriers. The phone is going to powered by Snapdragon 821 / Exynos 8893 64-bit SoC’s. Meanwhile we think you all are curious to know the release date and pre-orders details of Samsung Note 7. Here we are going to talk about those details as well. 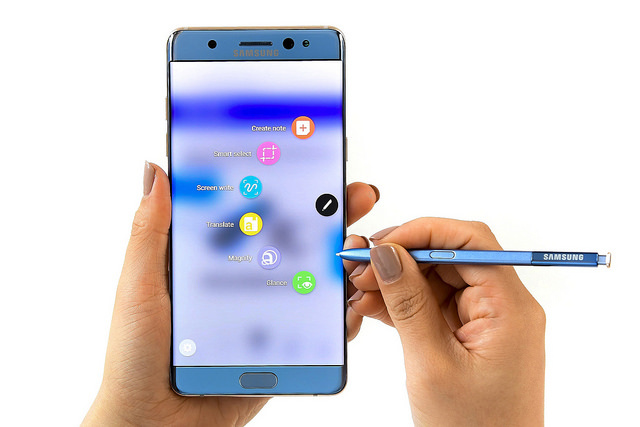 The Samsung Galaxy Note 7 will be available for pre-orders from August 3 and will be available by August 19 which may be true. Samsung has also launched a new Gear VR as Note 7 is going to have USB Type-C. The new Gear VR is supports other Galaxy flagships phones as well. Below we have complete memo that we have received from the same source. AT&T: $29.34/month for 30 months or $36.67/month for 24 months. T-Mobile: $70 down, $32.50/month for 24 months. Sprint: $0 down, $35.42/month for 24 months. OFFER: You will get either a 256GB memory card or Gear Fit 2, for that you have to wait for a mail from Samsung. You can check Samsung official Page (Only US citizens). The Galaxy Note 7 Pre-orders in UK will begin from August 16. Stay tuned with us for update and best offers on Note 7. So, above is complete memo of Galaxy Note7 event. We will update with more details of Samsung Note 7 and Gear VR 2016 here. So, Stay tuned with us. Also Before leaving make sure to like and share us on social media with below social buttons. I am waiting for the Samsung galaxy note 7 . This is one of my favourite Samsung Galaxy Note.